74-Piece Crayola Color Activity Set Just $6.98! Down From $25! You are here: Home / Great Deals / Amazon Deals / 74-Piece Crayola Color Activity Set Just $6.98! Down From $25! Amazon has this 74-Piece Crayola Color Activity Set for just $6.98 (Reg. $25)! Plus you can get FREE shipping on orders over $49 or if you are an Amazon Prime Member. Please keep in mind that this item is an Add-on so you must check out with at least $25 in your cart. 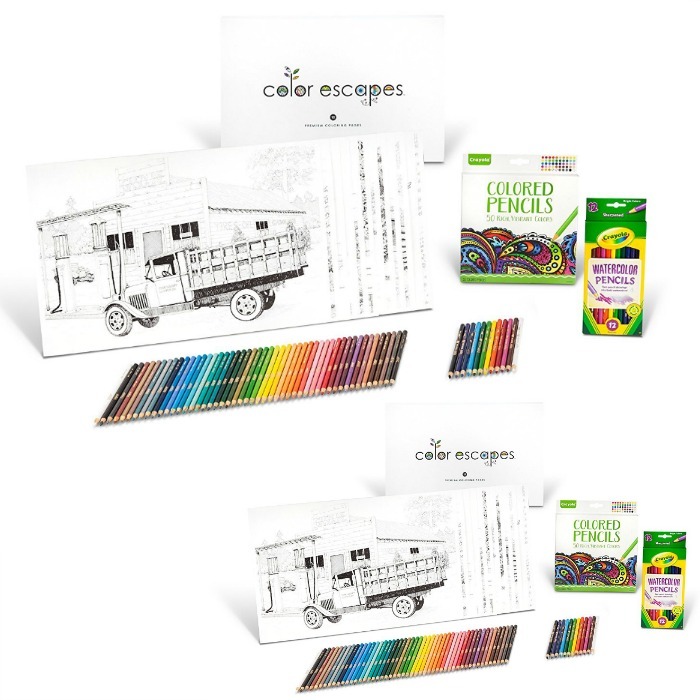 Relaxing Coloring Activities in an Americana theme. Vintage scenes celebrating a bygone era.